Australian Prime Minister Malcolm Turnbull highlighted the strength of Australia-China relations on Tuesday, talking up the importance of collaboration in education and innovation. Speaking to dignitaries which included China's Ambassador to Australia Cheng Jingye and Consulate General Gu Xiaojie, at a University of New South Wales (UNSW) event, Turnbull said collaboration between industry and institutions both in Australia and overseas are essential to getting the greatest benefits from academic research. 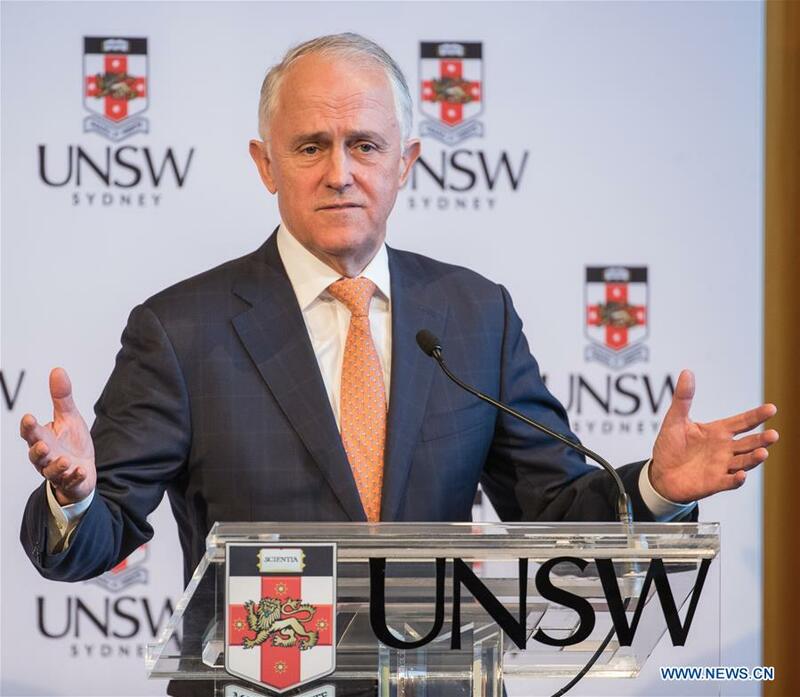 "UNSW has embraced international partnerships and collaboration, particularly with China through the Torch Program," he said. One of the great examples of this collaboration, according to Turnbull, is that of researcher Sean Li, who has undergone extensive work on graphene enhanced high performance electricity grid transmission lines. "Graphene is an extraordinarily thin and flexible material with 40 percent better conductivity than copper and as a result of this work UNSW has signed a 20 million (14.85 million U.S. dollar deals) with a Chinese company." "It is expected to boost transmissions (in China) by 5 percent which equates to saving 275 terawatt hours." "So this is a great partnership, critical when the world is grappling with higher energy demands and costs." Identifying the energy sector as a major area where both countries should continue to work together, due to the shared challenges of providing affordable and sustainable energy to remote areas, Turnbull explained how partnerships between Chinese and Australian scientists have historically helped spur on the solar power industry across the globe. "One of the most globally momentous collaborations between Australia and China has been that led by Professor Martin Green, who earlier this year became the first Australian to win a prestigious global energy prize for revolutionizing the efficiency and cost of solar photovoltaics." Beginning in the 1970's, by the late 90's Green had made significant progress in the efficiency of silicon solar cells, and at the same time a number of his graduates from UNSW founded several solar panel manufacturing ventures in China. "Several of China's largest solar power companies began as Australia-Chinese ventures," Turnbull said. "This collaboration has continued with constant improvements in manufacturing technology resulting in extraordinary advances in the affordability of solar power." "All these improvements in the efficiency of photovoltaics, the technology and the science that enables that, has come from collaboration between Australian and Chinese scientists." "Of the 100 PhD students working under professor Green, half he says are Chinese students." With this tremendous success stemming from innovation and technology, the prime minister also suggested that there may be opportunities for China and Australia to work together on construction and development projects. "We look forward to working with China on the Belt and Road Initiative projects," he said. 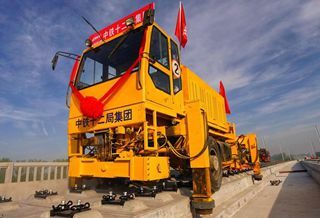 "Global infrastructure investment is a good example of where countries should work together, as we are for example in the Asia Development Bank and more recently in the Asia Infrastructure Development Bank." "Generally we welcome more investment in infrastructure in our region... we have always done best as a national economically and socially when we have been open to the world."